This summer, I have the opportunity to work as the Graduate Student Intern in Primary Sources at Columbia’s Avery Architectural and Fine Arts Library. The core of the Avery’s Drawing & Archive’s collection documents 19th- and 20th-century American architecture, with collection material ranging from original drawings to correspondence and personal papers. Under the guidance of Janet Park, curator at Avery Drawings & Archives, and the supervision of Shelley Hayreh, the head archivist, I am responsible for the creation of an archival collection for the department. The first collection I have been assigned regards the scholarly archives of author and historian Jane Loeffler, whose book The Architecture of Diplomacy: Building America’s Embassies was recently revised and reprinted in a second edition. 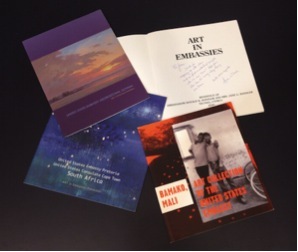 Earlier this year, Ms. Loeffler donated her research materials to Avery for the creation of The Jane C. Loeffler Collection of Research Papers on American Embassies. In the early 1980s, Ms. Loeffler began working closely with State Department’s the Office of Foreign Buildings Operations, or FBO, as she complied lists of both completed and suspended embassy projects, including project dates and commissioned architects. Though the project was ultimately shelved, this original research laid the preliminary foundation for her later article “The Architecture of Diplomacy: Heydey of the United States Embassy-Building Program, 1954-1960,” published in a 1990-issue of the Journal of Architectural Historians. As Ms. Loeffler received increased interest regarding her embassy architecture research, she decided to expand her work, researching not only individual embassy structures, but also overarching themes, including art within embassies and building security. Ms. Loeffler’s expanded research included interviews with current and former State Department officials, government documents and reports, and official embassy design competition information. 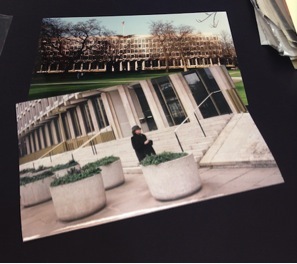 While the majority of research was conducted during the 1980s and 1990s, many of the Embassy structures themselves date back to the earlier half of the 20th century. 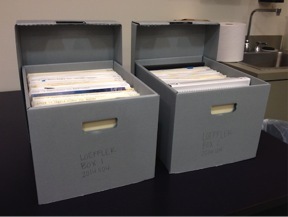 Ms. Loeffler’s research materials arrived at Avery Drawings & Archives in 13 separate boxes. 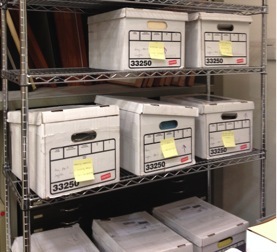 My first step in the archival process was to assess the collection’s original organizational structure, as well as common material types present. As I continue to process and catalogue the collection, I will rehouse the material in archival storage boxes, retaining as much of the author’s original organizational structure as possible while developing an easily accessible collection for the general public. 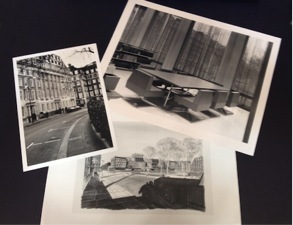 The acquisition of this collection is a huge asset to both Drawings & Archives and GSAPP programs at large, as it includes correspondence and other materials from well-known modernist architects like Eero Saarinen. This internship has provided me the opportunity to gain a better understanding of archival processing standards, as well as primary source material descriptive practices. In addition, I am presented not only with the chance to observe the evolution of embassy design, but also the opportunity to buff up on my geographical knowledge! Once I have completed processing The Jane C. Loeffler Collection of Research Papers on American Embassies, I will be assigned a new collection to sort through.